Anthropomorphic renditions in various media are well represented in the archaeological assemblages of the world, from Paleolithic times to the present. There is something about the appearance of the sculpted, modeled or carved human face on the collar of a pot, the bowl of a tobacco pipe or, perhaps, a pocket talisman, that conveys the phrase --- speak to me! Human face-like images have been recovered from archaeological contexts in Pennsylvania going back in time to the Late Archaic period. 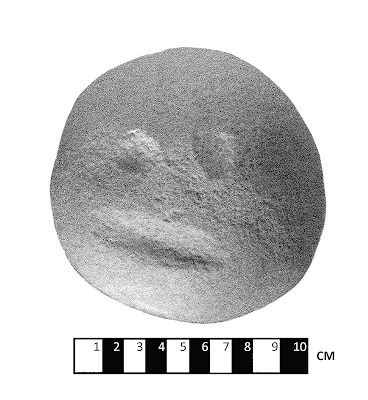 The “face rock” from Piney Island (Figure 1) may be 4000 years old as it was found between soil strata with radiocarbon dates of 3720 BP. and 4000 BP. (Kent 1996). In the Upper Delaware Valley, similar faces were apparently pecked onto the surfaces of small cobbles during the Late Woodland period. 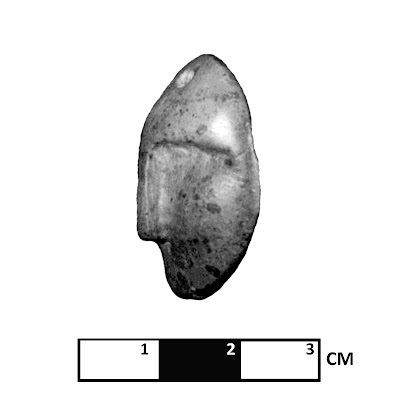 Stylized faces were also carved onto small pebbles and, the interior beam posts of the Oklahoma Delaware Big House or Xingwikaon. These carvings in bold relief may be Lenape renditions of the Mesingw or Masked Being. The Ohtas, or “Doll Beings” with remarkable powers (Figure 2), used in the Doll Dance by the Oklahoma Delaware were also carved from wood in precise detail (Kraft 2001). 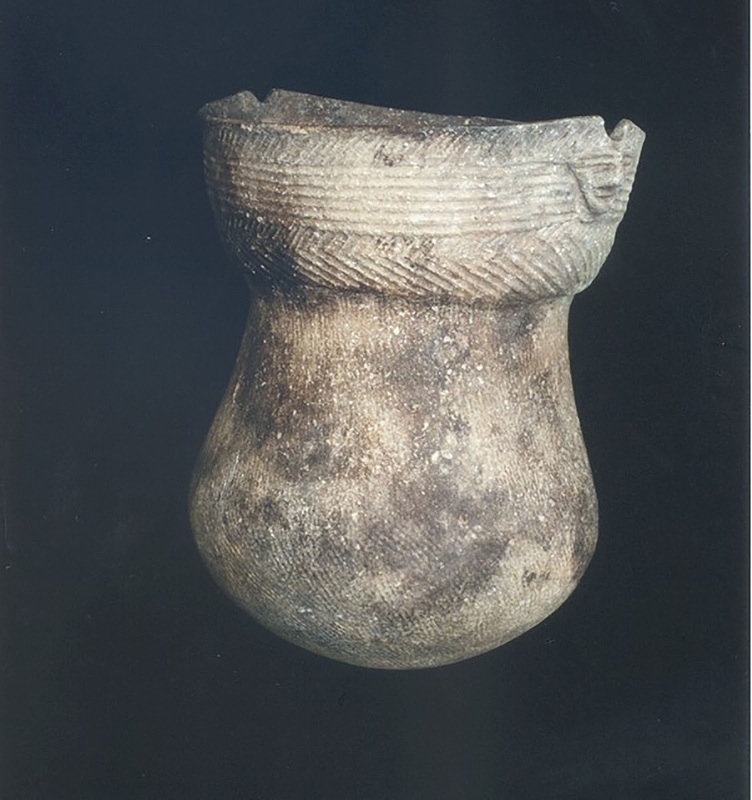 The Munsee, who occupied a large part of the Delaware Valley from Port Jervis south to the Water Gap, decorated their cooking and storage pots with human-face-like features. Typically, three punch marks, made with a blunt stylus carved from wood or bone, formed the eyes and mouth and these were located at each rim castellation (Figure 3). Occasionally the potter chose to sculpt one face above the other. 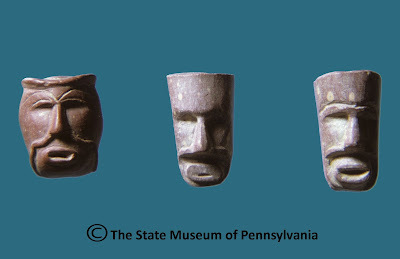 In the Lower Susquehanna Valley, these human face-like renditions became very common appliques to the collars of Susquehannock pottery by the first quarter of the 17th century (Figure 4). Susquehannock face pots were used for the storage and cooking of foods and as receptacles for burial offerings that held one last meal for the deceased. In both the Delaware and Susquehanna valleys, charm stones were made and carried by the Lenape and Susquehannock people. Principally made of soft stone such as steatite, serpentine, siltstone and by the middle of the 18th century, red pipestone (Figure 5), these effigies like the wooden Ohtas, were carved with great detail. Human face-like images adorned the bowls of tobacco pipes of the different Native American cultures. Certain clay pipes of the Wyoming Valley Complex (Smith 1973) are characterized by pronounced eye and mouth features indicative of some northern Iroquoian false face masks (Figure 6). 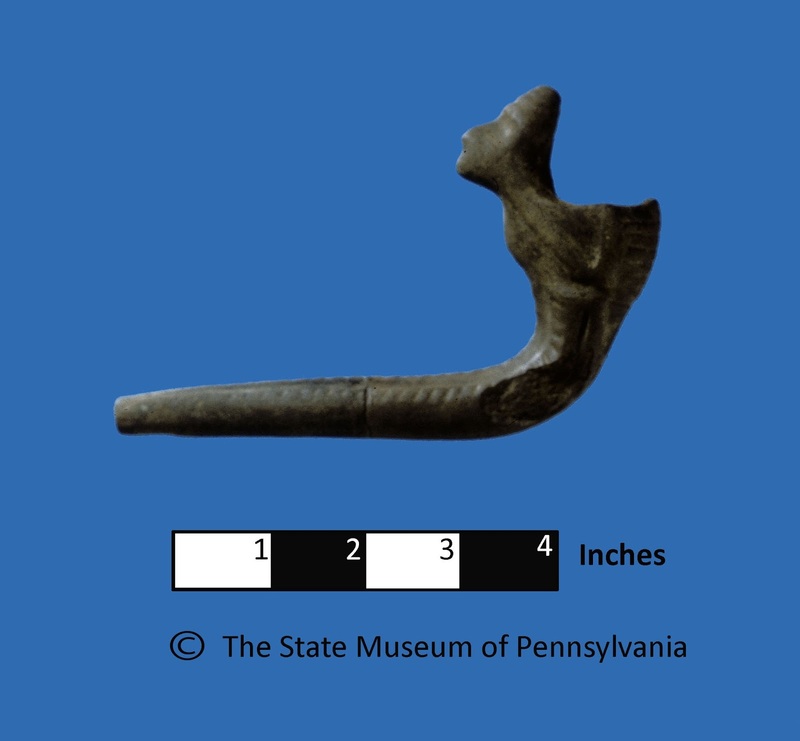 Some of these mimic Onondaga and Mohawk pipe styles attributed to the Early Iroquois Chance phase dates to approximately 1375-1425 A.D. Our Pennsylvania examples appear to be confined to the North Branch of the Susquehanna River from Nanticoke to the New York State line. 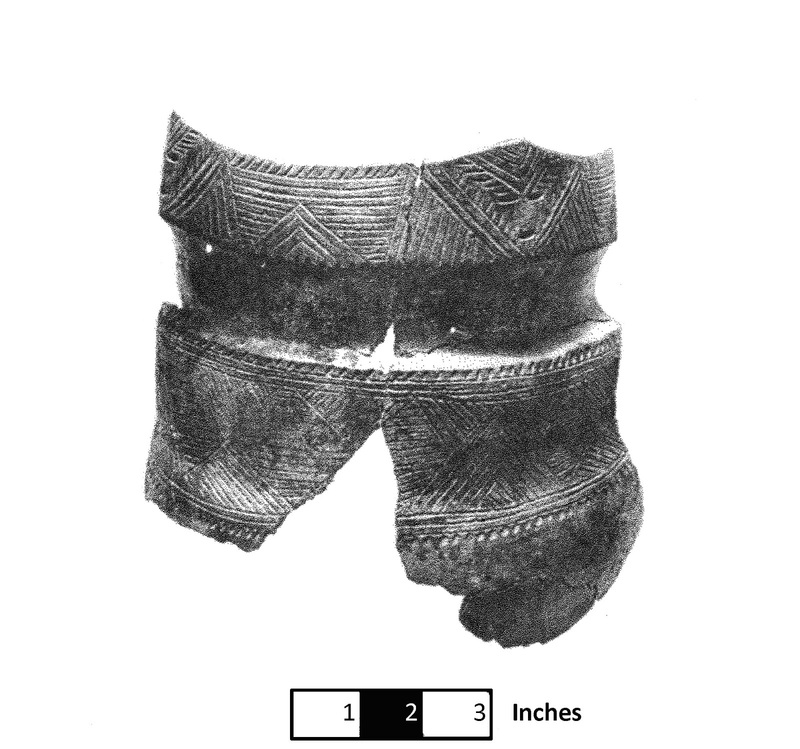 Several pipe styles from southern Ontario suggest contact between the Wendat and Susquehannocks in the early to mid-17th century. 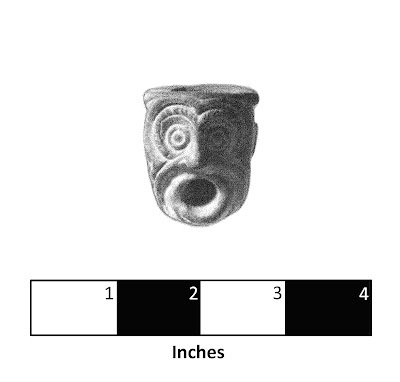 Examples of the pinched face or plague pipe, a late 16th to early 17th century form, are rare in Susquehannock material culture but common in southern Ontario (Figure 7). These pipes which depict the gaunt forlorn image of a human are so-named for the illnesses brought by Europeans that ravaged North American native societies. Moving our discussion westward we note the vasiform-shaped pipe of fine grained siltstone from a Seneca site in the Upper Allegheny valley. With a pronounced blowing or whistling mouth, boldly shaped brows and deep-set eyes, the image mimics the “Blower” category of false face masks used by the Iroquois or Haudenosaunee in their Mid-Winter ceremony (Figure 8). Another, stone face though much less expressionless, is from a site on the Sinnemahoning drainage in west-central Pennsylvania. 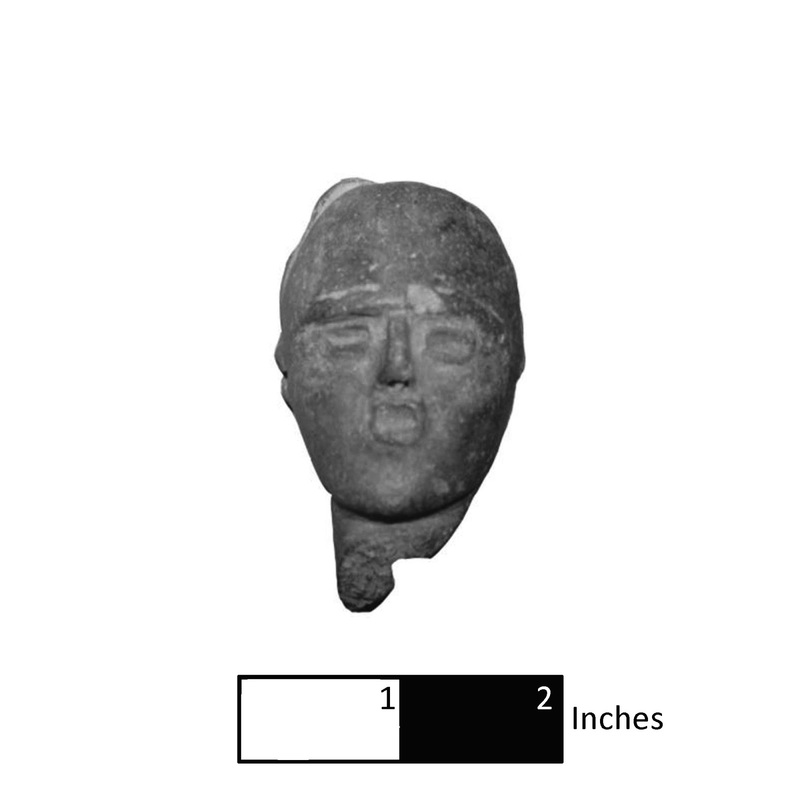 Carved from fireclay, a soft indurated clay stone, the image has neither eyes nor mouth giving the object an expressionless appearance suggesting that it is an unfinished piece that was lost or discarded by its owner (Figure 9). Anthropomorphic images whether modeled or carved, onto pots, pipes or rocks take Native American material expression to its highest level that only the artisans who made these objects might truly understand their meanings --- speak to me! 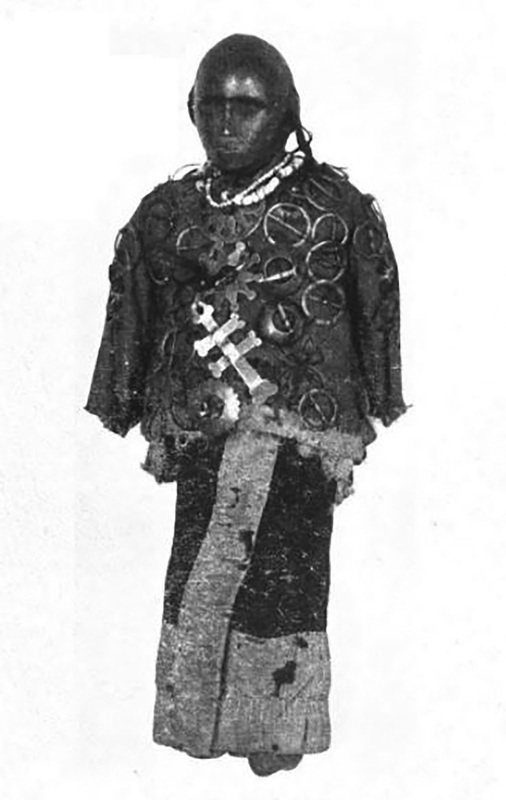 1921 Religion and Ceremonies of the Lenape.Museum of the American Indian, Heye Foundation Indian Notes and Monographs 19. 1996 Piney Island and the Archaic of Southeastern Pennsylvania, Pennsylvania Archaeologist 66(2); 1-42. 2001 The Lenape-Delaware Indian Heritage: 10,000 BC to AD 2000. Lenape Books. 1973 The Parker Site: A Manifestation of the Wyoming Valley Culture. Pennsylvania Archaeologist 43(3-4): 1-56. 1931 A Study of the Delaware Big House Ceremony. Publications of the Pennsylvania Historical Commission, Volume II, Harrisburg. In the remaining two weeks of fieldwork at Fort Hunter since our last post, our crew continued to excavate in their respective areas to the east and west of the milk house behind the mansion. Never a day went by without the archaeologists answering questions from the curious and inquisitive visitors to the park. How do you know where to dig? What are you finding? Did you have to go to school for that? In the vicinity of the smokehouse foundation, artifacts were few and far between, suggesting that undisturbed soils with the potential to contain historic, and more optimistically fort period artifacts, had been all but exhausted through previous years’ work in this area. Careful troweling of the remaining soil did yield a handful of glazed redware sherds, very small fragments of tin-glazed earthenware and scratch blue salt-glazed stoneware. With disassembly of the smokehouse foundation completed and samples of visually distinct stones set aside for thin sectioning and sourcing analysis, the excavation block east of the milk house has closed and is ready to be backfilled. Notable discoveries in the excavation units to the west of the milk house were predominantly prehistoric in age and included native pottery sherds, a few Late Archaic projectile points and a wide scattering of fire cracked rock. Most of these artifacts were found in a thin band of soil roughly 2 feet below the ground that was once the original land surface, referred to as a buried A horizon, and the first several inches of soil directly underlying it, the subsoil, also called the B horizon. A few fragments of the pottery recovered are sections of the rim of a vessel. Often decorated with varying patterns of incised lines and/or geometric shapes rim sherds are typically the most diagnostic portion of pre-contact ceramics. Seen below, the cord-marked horizontal and oblique lines on this sherd are indicative of the Owasco ceramic tradition which dates to c. 1000 to 1300 AD (Ritchie 1965). The ultimate in 3D jigsaw puzzles, there may be enough fragments to reconstruct upwards of half of this early fired clay container. One unique find this season is what appears to be a medial fragment, or middle section, of the stem portion of a native ceramic smoking pipe. The fragment is also split lengthwise, providing an interesting cross-section of the bore hole through the stem. The clay pipe fragment also exhibits shell tempering which is a characteristic of ceramics from the Late Woodland Period. Despite its underwhelming context of recovery (modern utility trench fill) this artifact retains some significance in that of the tens of thousands of artifacts collected over the course of 11 field seasons, this is the only one in the assemblage to represent prehistoric tobacco use. In whole form, the pipe may have looked similar to this example below from the Strickler site. What does any of that have to do with the French and Indian War one might ask. Admittedly, not much, with one important exception, that it does drive home the point that this area was a strategic position on the landscape for not just hundreds, but thousands of years. There were, however, a few artifacts recovered this season that do seem to hint at echoes from the fort period. These types of artifacts are intriguing, as they bare the signature of the fort period, and of the time before and shortly after, but unfortunately, due in part to the high level or earth moving activities in this particular section of the property, none were found in discrete contexts free from 19th and 20th Century material. It’s been said before, and it’s worth repeating, our volunteers are awesome! They are pleasant to be around, helpful with any number of tasks, and sometimes bring food to share. The amount of work accomplished this season simply would not have happened were it not for our dedicated volunteers. A tip of the hat also goes to Dauphin County Parks and Recreation for their continuing cooperation and support. THANK YOU, to all who contributed in our efforts to uncover the past! The Archaeology Section of The State Museum of Pennsylvania invites you to attend the annual Workshops in Archaeology on Saturday, October28, 2017. This program is designed to provide the public with an overview of archaeological discoveries and research being conducted in the region. Papers presented at these sessions will focus on Ethnicity in the Archaeological Record as it can be identified at farmsteads, industrial sites, religious sites and other locations in Pennsylvania. By recognizing cultural markers of preceding populations in Pennsylvania, archaeologists are better equipped to under-stand the fluid cultural landscape of our country.